This page contains all quarters other than Bust and Seated quarters. It includes some wonderfully toned Washington quarters: 1947-S, 1948, 1948-S, 1971-S and 1976 Bicentennial. especially on the reverse. Reverse rims and lettering are light green, devices are orange and the center is red. The obverse is also toned green-gold with red around the edge. A wonderful coin if you like bright toners! New TrueView photo from PCGS. Was $700. The orange and blue around the periphery of the reverse is more intense than the pic. 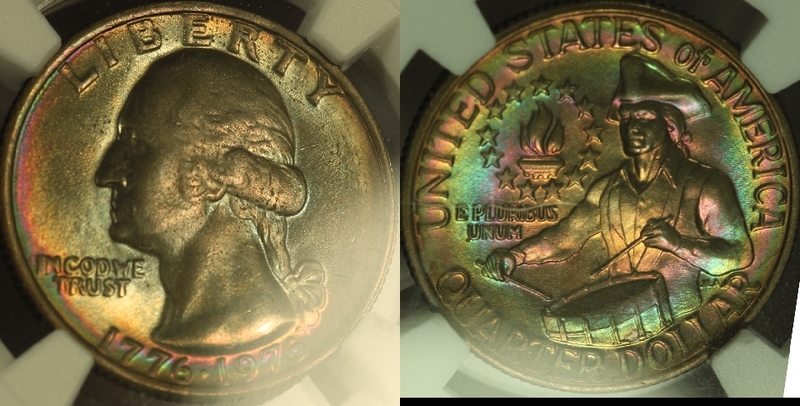 Also the obverse peripheral toning is more colorful than the pic. 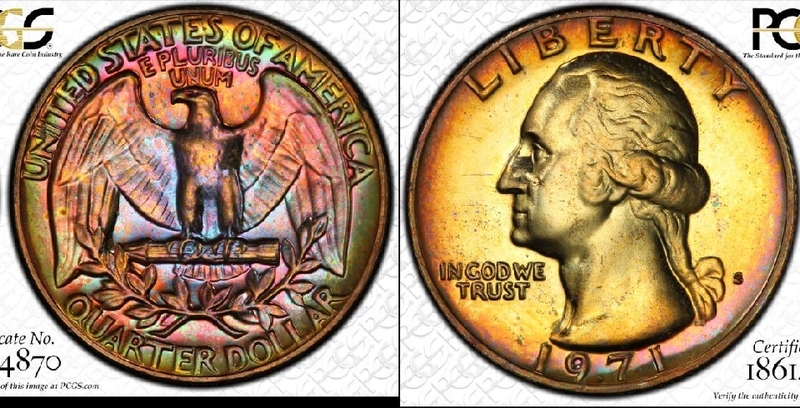 A really rare coin with super toning like this!